In reality, this 2014 Honda Super Dream 110cc doesn’t have a storage box under the passengers’ seat. However, there are add-on parts like a front basket, a rear luggage rack and even the rear box of 39 litres. If you ride in Hanoi, you don’t really need these accessories but for long trips, they are very useful. Honda Dream was the first and longest in the production of a 100cc semi-automatic scooter Honda ever made. It started in the early 1980s in Japan then moved to Thailand later in 1990s. 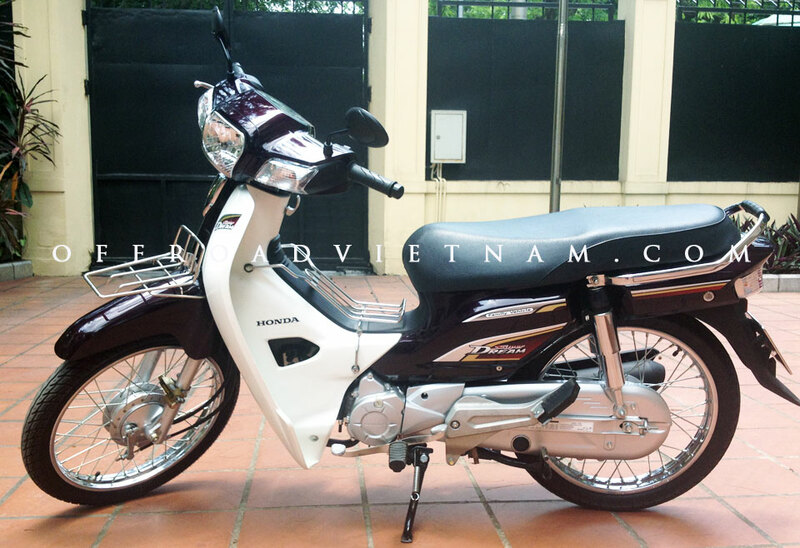 In the early 1990s, a new Honda Dream costs a much as a house in Hanoi. It’s just the name that tells the whole story. Then in the early 2000s, the 110cc Honda Wave models were introduced and Honda decided to stopped making Dream 100cc model. 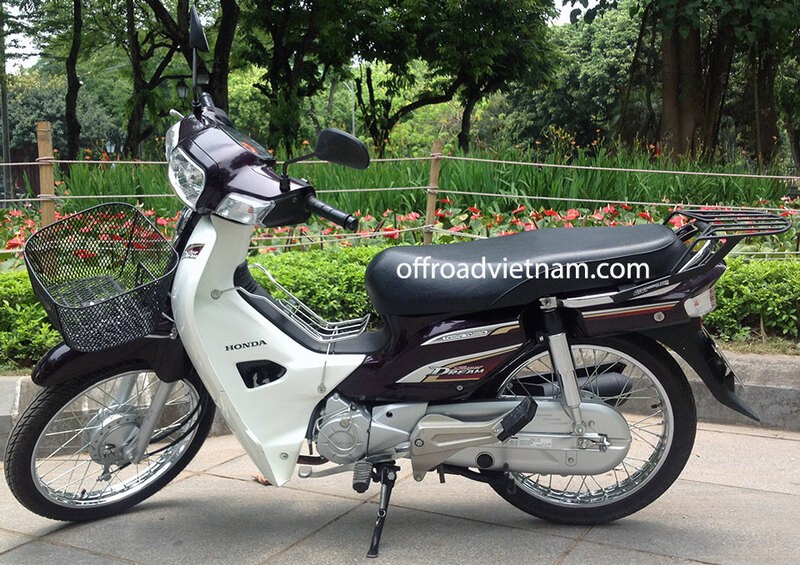 Vietnamese people still liked the look of the first Honda Dream and therefore Honda Vietnam introduced Super Dream 100cc which was exactly the same engine. That model continued until 2012 before it was replaced with the current 110cc model. To be honest, the new 2014 Honda Super Dream is actually the Honda Super Cub without FI (fuel injection) technology. It is popular among people from 30 years old because of the serious look and mono-color. 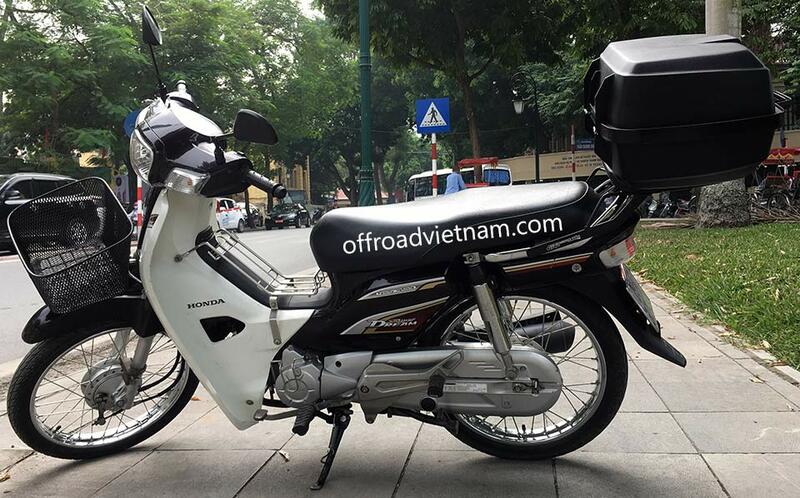 Offroad Vietnam, again, is the first and only (so far) outfit who offers this model as an additional choice for people who want to stick with the tradition but with a different look, stronger power and larger tires. Good steering and balance at high speed, the only negative thing is no storage under seat. This model is very similar to the Honda Super Cub 110cc that is sold in the Japanese market, the only difference is carburettor instead of fuel injection. – This Honda Super Dream 110cc is not really suitable for riding two up on one bike because of the HP, seat and luggage added. Ideally, riding solo is the best option. If you have to ride two up, relax often and don’t ride long every day, especially after dark or on rainy days. With improved technical enhancements (Evapo, Euro 3 and larger tires etc.) 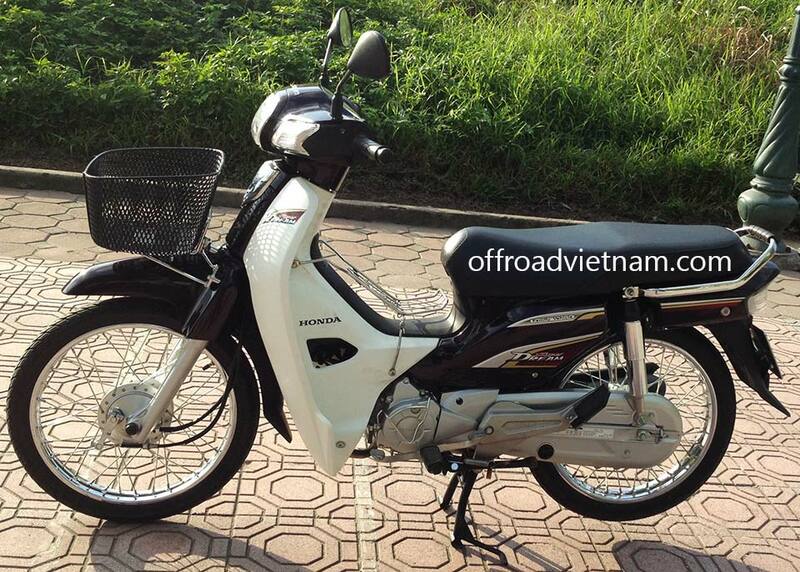 and a totally new 110cc engine, this Honda Wave is the next Honda new commuter ruling Vietnamese urban roads. All bikes were 2014 models. 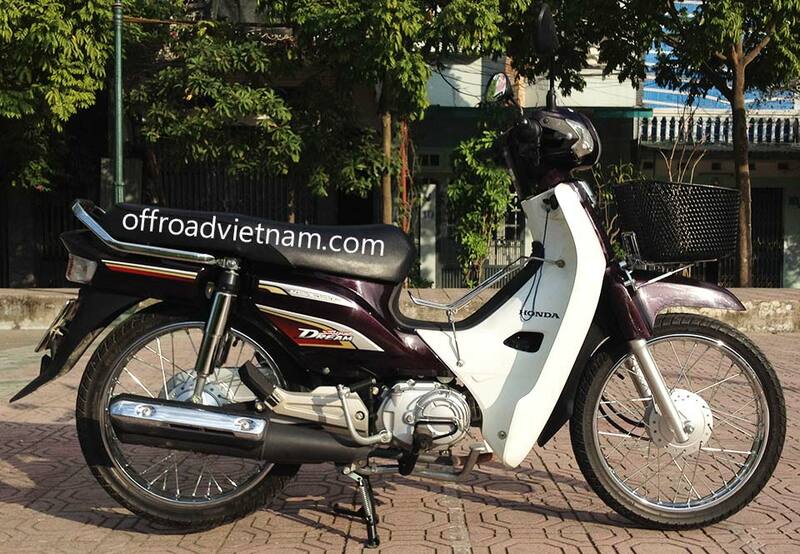 No shop in Hanoi has or uses newer bikes than ours! If you want to hire other Honda semi-automatic scooters please follow this link.